There is one woman called Charity Kaluki Ngilu. I guess many of you expect that I will like her, since is probably a woman to start with, and women are mothers, and mothers are loveable, and second, since she was also appointed cabinet secretary lately – so I might need her big name in the course of my life – she would be happy to lend it. Moreover, she was also born in a village not so far away from mine, so we should naturally treat each other as close acquaintances. 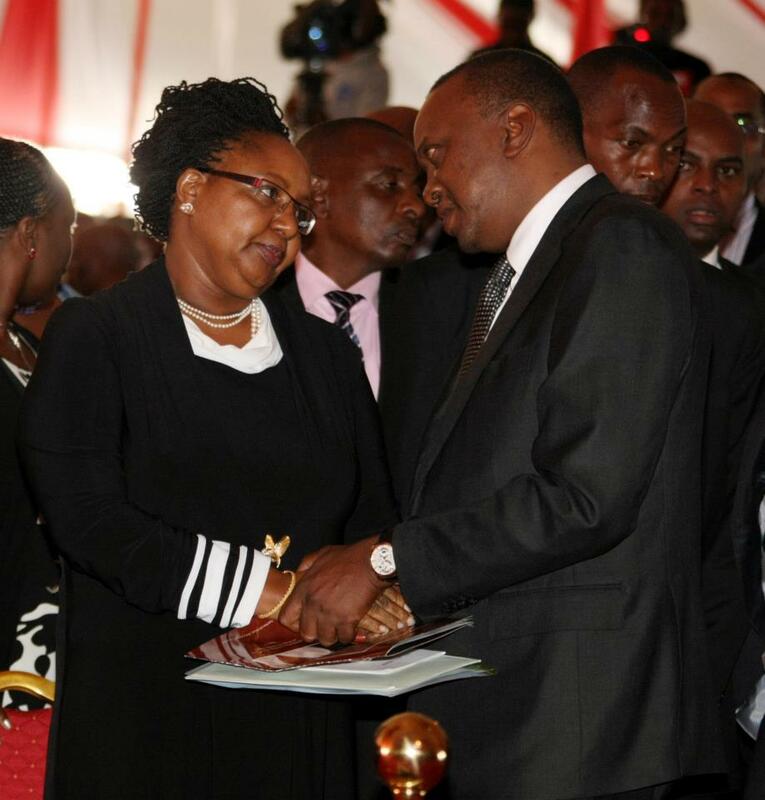 Additionally, she is also one woman who has achieved a lot in her life; I guess as a female strategist, a lot has paid – look at her now, one only ex-politician who is now a cabinet secretary in the Kenyan government whose constitution detested her type. When I see the woman today, my heart skips a beat. Not because I have intentions of courting her, or her beauty is striking, but she reminds me of a decade ago when I had just come to Nairobi. The year is 2002, when my dad had just retired from “serving the government” and “building the nation” as a teacher. I was in the university studying Information Technology, and I was in need of any form of financial support to pay college fees, since things had become very tough on us after my dad retired and no money was flowing into his account. So I had to do something. This included walking around seeking for support from any possible source. I started my walk in search of financial aid from the ministry of education where I applied for a bursary – nothing came through, and so I was referred to my member of parliament. I went to continental house to see my member of parliament, but could never get through the bureaucracy of personal assistants. But while there, someone, (cant remember who) referred me to the helper of the Kamba community, one Charity Kaluki Ngilu, and told me to go to her private office instead of the Continental one. The woman ran a private office somewhere in South B or something. In this office, she used to have something similar to an occurrence book where her assistants would record people’s needs as they presented them. It was a large black book, it had columns and rows, and each request was profiled across those columns and rows. The office was like a small clinic, with many files strewn across the shelves and counters. It was a bit disorderly and I wondered whether she ever stepped in here. But at the same time, the office was a hive of activity, full of people – old and smelly, young and naïve, others tired of following up their requests, others naïvely expecting that their requests would be handled with ultramodern efficiency. Continuously, this office opened to serve people from the Kamba community. But what exactly did this office do in service to the community? Simply put, it was a garden of nepotism. Any Kamba could come in after spotting job adverts somewhere on the papers, or after being aware of an opening some place, and needed the minister’s intervention. They would come in and drop their details, which would be recorded on the occurrence book, after which a recommendation would be processed. She used to be then the minister of something, if not health, water, but that’s not the point, but largely, she was Mama Rainbow, having been a significant contributor to the coalition that kicked out Moi and brought in Kibaki. The point is that if you were 1. A Kamaba who 2. Saw something that you wanted and 3. You needed the intervention of a tribes-mate who was in power then 4. You could come in this office and 5. You could get a personalized referral letter from the minister. This was what the office did. So I presented my case – it was simple and plain, I wanted bursary to complete my school fees plan and I had been referred to this office from the ones at continental house. The pretty well trained admin girl asked me “Have you identified a place they can give you bursary?” I told her, “Yes, I think the minister can give me some bursary”. A bit surprised, she told me “No, the minister does not have money to give bursary at the moment, but she can write you a letter to influence your being given bursary”. In those days, if you were an employer, you would be intimidated enough to give the applicant a job, because if you didn’t, he might report you to the minister and your company might never get a government contract. And so, thousands flocked this office to get these letters of referrals, largely for jobs such as working for Basco paints manufacturing plant, or the Export Processing Firms in mlolongo, which are predominantly owned by semi illiterate Indians who would be somewhat get intimidated by a letter from the ministry bearing the signature of mama rainbow. How effective the strategy was, I don’t know, but I got annoyed at this dirt and left the office immediately. I couldn’t bring myself to the thinking that this was happening in the first place, let alone that I would be a candidate of such manipulation. I also quit the whole affair of seeking bursary and went to find money from selling computer accessories and VCD players to fellow students in college. Later on, say 8 years later, I came across another instance that rung a bell. When she was the minister of health, it was rumored that if she had to come to flag off your event, you had to first tell her “how much of what you intend to be flagged off is going to her people”. If it was a set of ambulances or computers you wanted flagged off, of the many, one or two should go to “her people”. And, it was a well known fact that she won’t come to your event until you had send some of the stuff to her people. In Kamba language, this act is called “kuthuua”, where a parent is expected to go out and look for stuff for their kids. Mothers leave the home in the morning carrying a large empty basket (Kyondo), and whatever they meet on the way, they collect and put it into the basket. It could be a piece of broken sugarcane, or a half eaten cassava from a friend, or a 1 packet of maize flour bought after being paid her end-of-day wage. Mothers are known to be very good at this practice. But at least, at the end of the day, they end up taking something home, and it is not for the children to ask her where the cassava came from, or if the sugarcane belongs to the same source as the packet of maize flour. Anyway, smart Kamba woman has grown to be loved by her people. She is good in the nepotic sense, and I wont go deep into talking of the inquiry that was investigating her after giving dam drilling business to her relatives. I wondered why her DNA surprised the country. And so, to date, many people from the Kamba community believe in this “power interventions”, like am sure most people feel they will benefit from the Jubilee government since she is representative of Kamba interests there in. This is the type of thinking I see on online forums. This thinking is historical; and it lives to tell of a community that has successfully been brainwashed enough by its leadership to believe that their leaders are their “God on earth”. They give blessings, and they make things happen for their people. They open up doors. They are God sent. In return, this increases dependency and manipulation of the electorate, and creates a perfect ground for garnering votes when the election cycle opens. Tells you why some have led for 20 plus years, it makes you wonder whether their communities lack alternative thinking. Today, it struck me by surprise when I heard that Nduku Kilonzo, the wife of the former late senator of Makueni, Mutula Kilonzo is running for office on a Jubilee ticket. 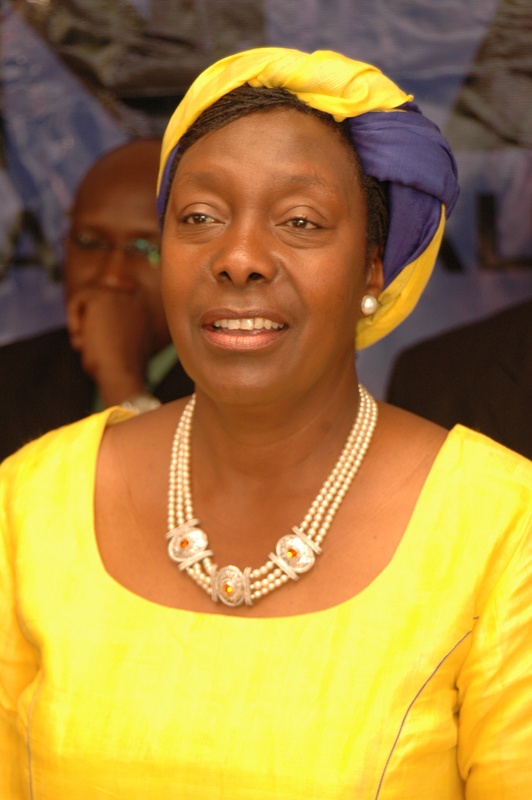 It is rumored that she may be a project of Ngilu and other women powerhouses from Ukambani, who are deeply rooted in undertaking the “nepotic” business of “kuthuuia andu moo” (fending for their people), by exploiting irrelevancies such as “she is a woman” and “vote sympathy, a widow is involved ”. It also bears much social capital if other women leaders of Ukambani rally behind her, since we also have to meet a constitutional threshold of the number of “women in power”. This woman thing reminds me of Nyiva Mwendwa after the Beijing conference that reminded women of their existence on this planet. Long story short, I have no personal grudge against Ngilu and her cronies. But, I take issue with their archaic thinking on a day like today, not just by her, but a large section of Moi apprentices. It is the same rationale that the Members of Parliament are using to justify an unreasonable increase on their salaries. It is the cource of arrested development, since most people don’t do much to improve on their circumstances but expect “serilaki to ingilia kati” (the government to address the matter. This always comes after “kuomba serikali na viongozi wetu” (praying to our government and our leaders), when none if forthcoming, this cry is often followed by “mungu saidia” (god, please help). I dare say that the young generation of today is held hostage by their parents, who have continuously exploited religion, rudimentary attributes of culture and positions of power to create heightened levels of dependency on their oblivious, naïve, unexposed and conservative communities. Without doubt, our communities are needy. It’s a fact we live with everyday. Their income has consistently become less and less in view of increasing taxation, inflation and an ever-changing global economy. They do not understand global warming and climate change, yet every year they plant crops that wither, and their leaders come to “save them” with relief food instead of newer and better farming technologies. This cycle has continued for the past five decades, and even then, it seems to be strongly propagated. The irrelevancies of “I am a Kamba” or “I need a senior Kamba in the government to intervene for me” or “Women are the caregivers of the world” or “I represent your interests in the government” are stale and inconsistent with freedom, emancipation and liberation. I am more convinced than ever that WE, us who got slightly better education than most of our village mates, us who are slightly emancipated and exposed, should take leave from the comfort of running water and flowing electricity and a beer after a hard days work. We are the light of a new dawn. We have the responsibility of going back to lighten our communities from the yoke of the likes of Ngilu, that is historically hell bent into adding more dead weight to the system, such as Nduku Kilonzo. I have no fear of getting arrested and sued after writing this piece. Well spoken, we need to take leav from our comforts and take the lead to turn change this culture! Wow! Greg, I couldn’t say this any better!! I quit reading online comments when I saw the miseducation of our lost generations!! Well done bro! Really nice article Gregg, really cool (*cough cough* could break into Segments) enjoyable reading. Alot of communities have that God-sent, Rain-maker mentality. While its one thing to have Rain-makers, people making moves behind the scenes.. its another to have guys bullying you for no other reason than they are in a *powerful* position to. Unfortunately people like Charity get more entrenched simply by the more people whom she’s bullied into being employed far and wide.